I found these photos, of this cute motorcycle Diaper cake I made for my friends baby shower in 2014. My friend and her husband are big fans of motorcycles when she announced their motorcycle theme baby shower, I knew this is what I wanted to make for them. 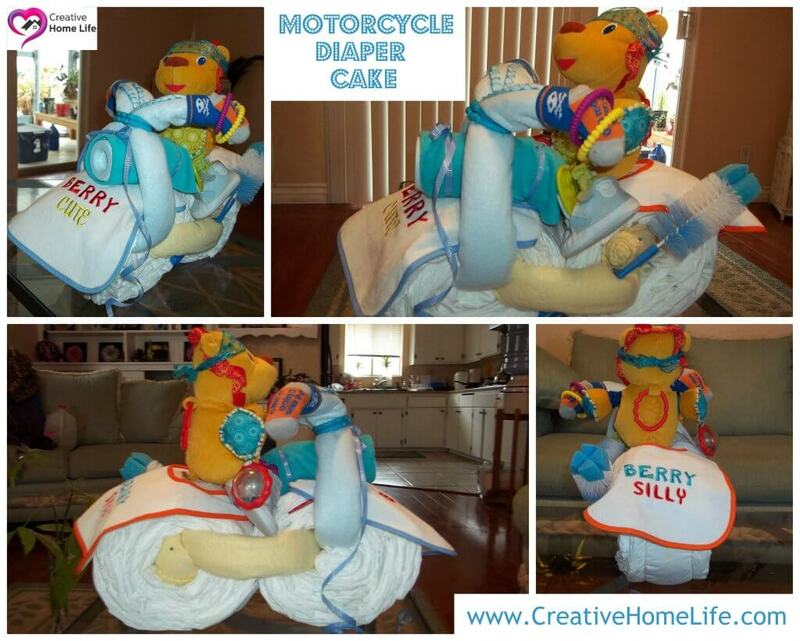 I initially saw a motorcycle diaper cake on Pinterest and have always wanted to make one. I’m very happy with how it turned out. My friend loved it as well, it was displayed at the baby shower as a decoration. She then displayed it in her son’s nursery, she said she had the hardest time deciding whether or not to take it apart and use the stuff on it because it was so cute! Diaper cakes make great gifts because not only do they make a fun centerpiece & nursery decoration. Everything on it is something mom and dad will need for the baby. If you do decide to make this gift or anything on our blog. We appreciate it, if you can share a picture on our Facebook page. We would love to see how your projects turn out! If you have any questions about this “Motorcycle Diaper Cake”, or anything else… Please feel free to message me or leave a comment.